The Helix pillows outer shell is made with the same super soft material as the Helix Mattress cover. Featuring the Helix ticking and signature blue fabric. The Helix pillow feels very well made though we noticed some loose threads in the stitching of the insert layers. The Helix COOL Pillow uses a ultra-cool polyethylene fabric that is cool to the touch and stays cool all night long. Sleep hot? This pillow could solve all those sweaty nights. The loft and feel of the Helix pillow are adjustable with its two removable comfort-layers made of crushed memory foam and down alternative. Because the pillow isn’t one solid piece it’s easy to fluff and adjust to cradle your head perfectly. With its unique blend of crushed memory foam and down-alternative the Helix pillow has an ultra-plush feel while still being supportive. The Helix pillow has a zipper that runs along the outside making it easy to remove or insert the comfort layers within. Change positions often? Keep your comfort layers in your bedside table for easy loft adjustments. The Helix Pillow comes with its two layers inside, just unzip and remove to find your desired height and feel. 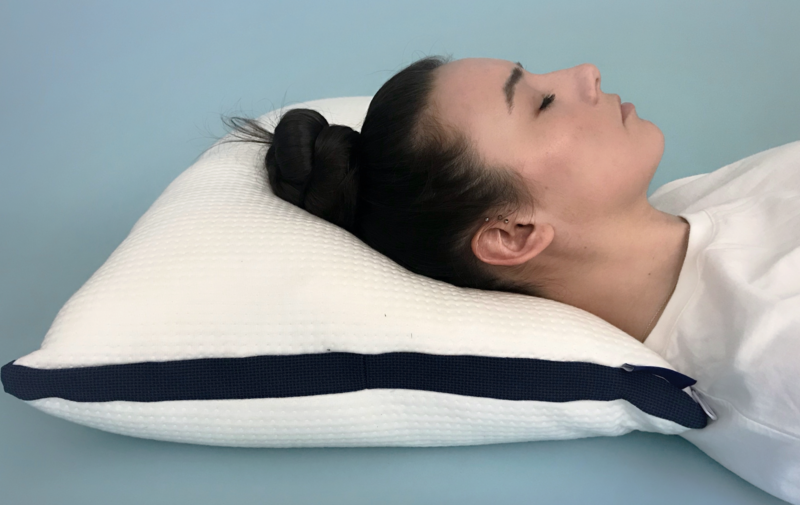 Our tester has a smaller frame so as you can see below her head is slightly elevated beyond a neutral position with both inserts of the Helix Pillow. Two inserts will work for side sleeping, but one or no layers would be preferred for back and stomach sleeping. 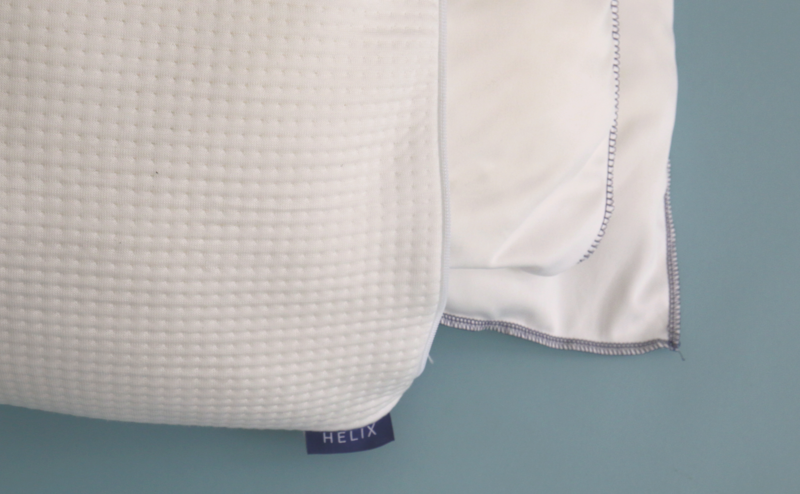 Helix recommends two comfort layer inserts if you are a side sleeper who has broad shoulders or if you like a tall, firm pillow. 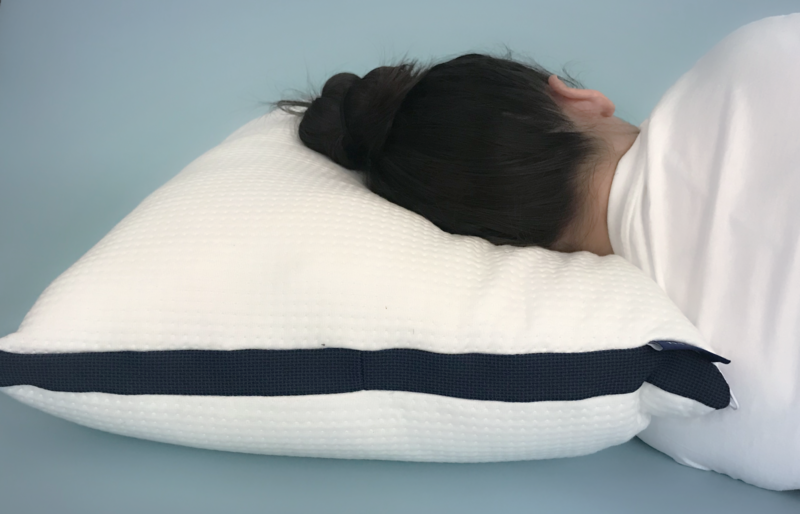 If you move between back and side sleeping or aren’t sure which feel you prefer, Helix recommends using one comfort layer in your Helix pillow. And, for stomach sleepers or those who prefer a plush pillow, Helix recommends removing both comfort layers. Depending on your body type a different number of comfort layers may work best for you. 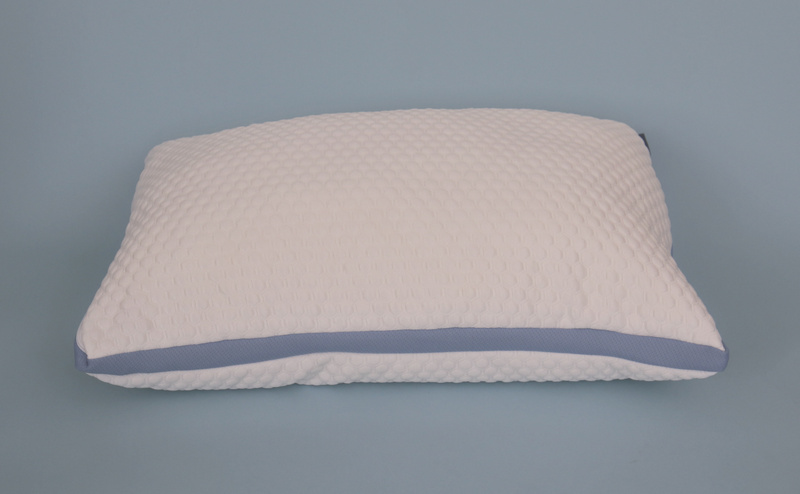 The Helix pillow is made with a combination of crushed memory foam and down alternative so it is firm and supportive, yet soft to the touch. 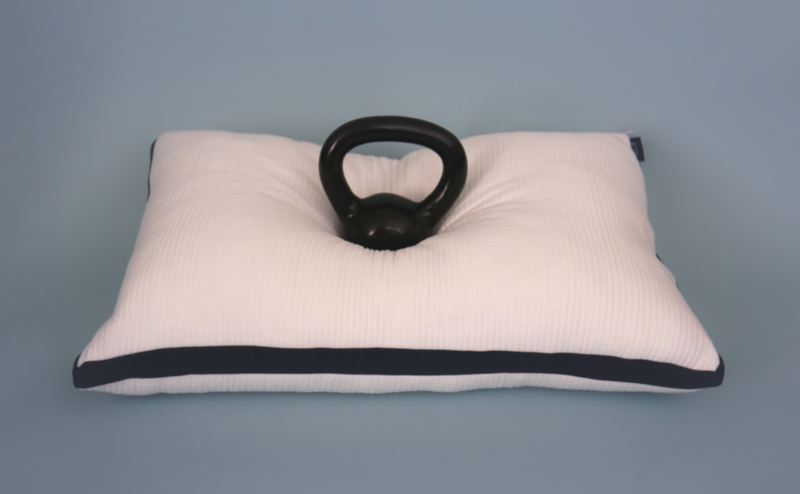 The 10 pound weight sinks in lightly while the pillow still holds its shape. If you remove one or both of the inserts the feel will be less firm and the loft will be around 3 inches lower. Because its made with memory foam there is some slight stickiness when the weight is removed but the down alternative helps to mitigate that stickiness. The average human head weighs 10 pounds. See our 10 pound kettlebell test below. Even though the Helix pillow is dense it didn’t hold as much heat as initially expected and it stayed cooler than many other pillows tested. For the infrared test a hand was placed on the Helix Pillow for one minute and off for one minute. After the hand was removed the highest recorded pillow temperature was 86° which dropped to 75°. Similar foam based pillows will hit around 88° and 77°. The Helix COOL pillow is actually cool. Like, really cool. It’s cold to the touch, and stays cool all night. Plus, it stays cool during our test. Helix uses a high heat-transfer polyethylene fabric that doesn’t hold heat making it tangibly cooler than other fabrics. 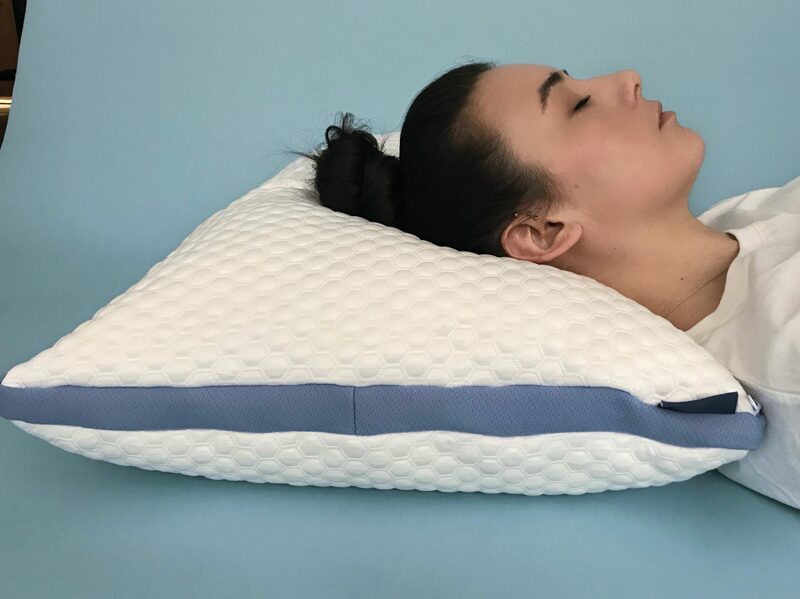 If you’re a hot-sleeper this pillow could be a game changer for your sleep. For the infrared test a hand was placed on the Helix COOL for one minute and off for one minute. After the hand was removed the highest recorded pillow temperature was 84° which dropped to 73°. 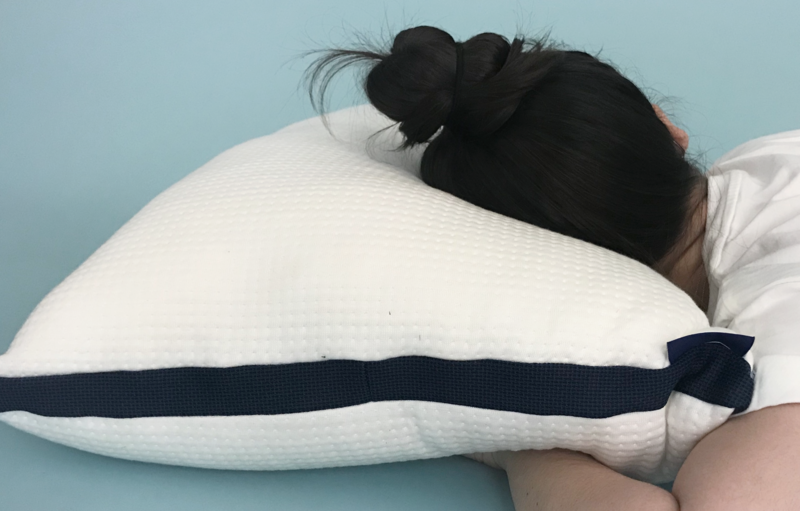 The Helix COOL pillow stayed around 5° cooler than other pillows we tested. 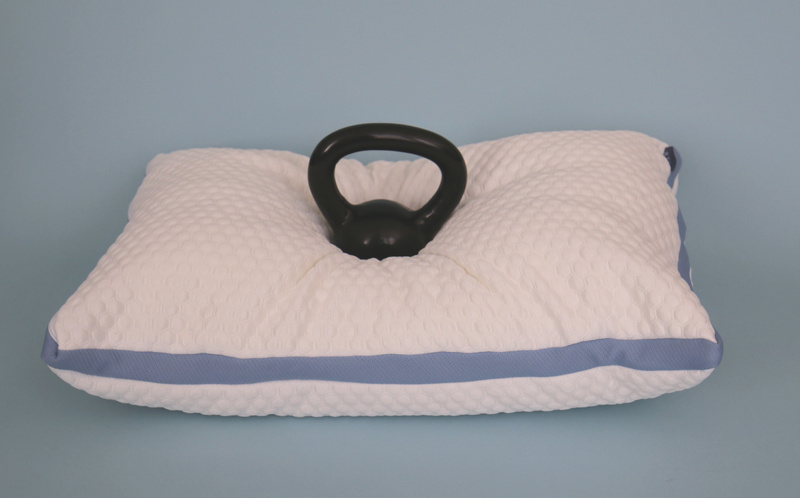 Overall, the Helix pillow may be a good fit for sleepers of all positions because of its adjustability. If you’re not married to an all memory-foam pillow the Helix blends crushed foam and down-alternative to create a uniquely soft and supportive feel. 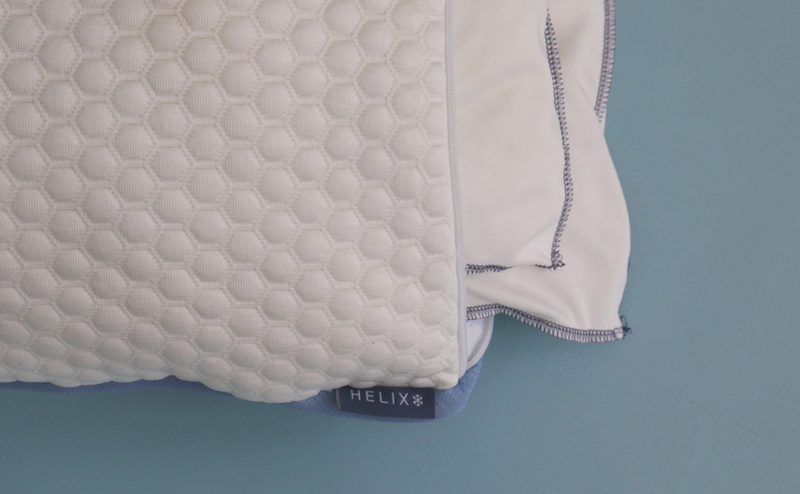 Plus, the Helix COOL pillow is made with a unique ultra-cool knit fabric that is cool to the touch and stays cool all night making it a great option for hot sleepers.